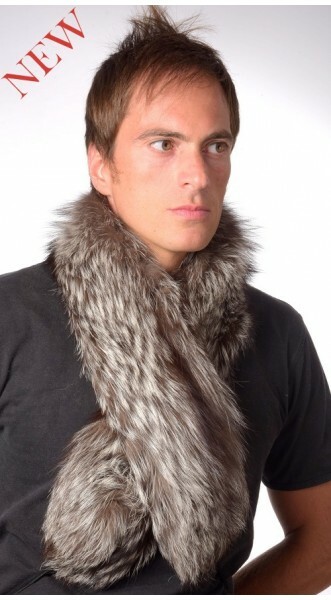 Real silver fox fur scarf. Silver fox fur scarf will never age, it is elegant, fluffy and warm. This scarf fits men wishing to be trendy even in coldest winter. Fur on both sides. Authentic natural color. Each of our fur accessories is handmade in Italy. We ensure best quality materials.